China is a great place for traveling. It's a big country with a long history and rich culture, as well as great food. However, one thing that bothers a lot of travellers to China is that they can no longer visit a lot of familiar websites, such as Google, Twitter, Facebook, YouTube, Gmail etc. on their computer in China. Actually, those websites are blocked in China by the so called The Great Firewall of China. China is known for Internet blocking and censorship for a long time. 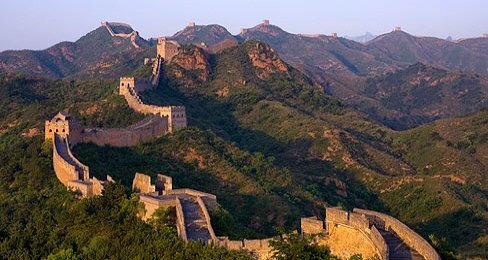 However, the good news is that, there're still some ways travellers can use to bypass this blocking and access those blocked contents during your trip to China. Basically, you can either use a proxy or use a VPN to do this. For using proxy, basically you configure your web browser to let all traffic go through a proxy. For VPN, you might need to install some software to do that. There're free solutions for both proxy and VPN. However, if your stay in China is a long period of time, you might want to consider paid services, which is more reliable. Also, in terms of security and connection speed, VPN is a better choice than proxy. For this reason, many visitors to China sign up a VPN service before they leave their country and use the VPN in China. However, many VPNs are blocked in China as well. To find a VPN provider that work in China, you can use VPN testing and monitoring services such as VPNDada.com, which test VPNs from China and refer to their list of recommended reliable VPNs to be used in China. Using VPN in China is not illegal, by the way. Many foreigners, including expats use VPN in China everyday. So, next time when you travel to China, make sure you are prepared. Link: VPN China, Use VPN to Watch Youtube in China, Use VPN to Watch Netflix in China, Use VPN to Visit Facebook in China.